To fully understand how phony the whole ACA discourse is – both that of free-market "Tea Party" fundamentalists and that of Democratic-Party/Obamican free-market neo-liberals – and why Obamacare should be understood as “a fraud on the public” (Glen Ford), and “the biggest insurance scam in history” (Kevin Zeese and Margaret Flowers), we have to look at what the real purpose of the law is, and what it is not. That’s really quite obvious if you look at the forest the legislation creates, and don’t let yourself get diverted by the deceptive and confusing debate over the prettiness of this or that tree. Obamacare is not a healthcare program. 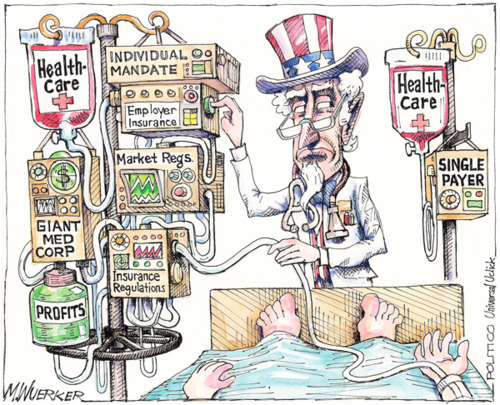 It – and, importantly, the government through it – does not provide healthcare to anyone. Obamacare does not give a penny to healthcare providers. In fact, as an analysis posted by Paul Craig Roberts puts it: “Hundreds of billions of dollars are siphoned from Medicare to help pay the cost of Obamacare.” In order to budget for the ACA, Obama has reduced Medicare payments to doctors and hospitals, actually taking public money that is directly paid for medical services and shifting it into the pockets of private health insurance middlemen. It is not even a health insurance program. It, and the government through it, does not provide health insurance to anyone (although it kinda, sorta, partly pays for some of it, for some people). Obamacare is a publicly-funded marketing program for private insurance companies, a program through which a compliant capitalist government functions as a super-broker that forces the public to buy, and funnels public money into, private health insurance companies, which retain complete management and control of healthcare delivery behind the scenes. That’s the money drain out of real healthcare that Obamacare sustains. Liberals who think Obamacare is some kind of some kind of "step in the right direction," rather than a new obstacle to moving forward, are no less deluded than Tea Partiers who think it's some kind of "socialism." To put it in a way that right and left might understand: Obamacare is no more a public healthcare plan than the Federal Reserve is a public bank. It’s a simulacrum of a public institution that stands in for, and in the way of, a real one. Fundamentally, Obamacare is another element – a particularly nasty one because of what it’s screwing with (healthcare) – in the three-decades-long right-wing/neo-liberal denial of the social. For the contemporary right-wing, “society” is nothing more than the net sum of individual, private transactions. Margaret Thatcher gave the tagline for this movement, with her famous insistence that “there is no such thing as society.” Following her – and their other socio-economic mentor, Ayn – American Randian Republicans have been the loudest and most aggressive promoters of the crude “greed is good” ideology that bashes any attempt to think socially with the fist of triumphant individualism. Right-wingers are not wrong to see the ability to think socially as the basis for “socialism,” as something which, if thought through consistently, would lead in that direction. Reactionary whiskers are fine-tuned to twitch excitedly when the tiniest molecule of such an attitude brushes by. A fine, concise definition of “communism” was given by Edgar Speer, Chairman of the Board of United States Steel, when, in 1978, he explained why it would be such a terrible idea to sell Youngstown’s abandoned steel mills to the workers: "The whole concept of community-owned facilities is the same as communism -- particularly where the profit of the facility will go for the social benefit of the people. This is communism." Well-said, comrade Edgar. But, as Democratic liberals and less-dogmatic capitalists since FDR have understood, it is quite possible to craft policies and programs embodying incipient forms of social solidarity that will be comfortably absorbed within the capitalism system. Social Security was not, and socialized health insurance will not be, the death-knell of capitalism. These programs are threats in the sense that they both provide examples of how well things can work when democratically run “for the social benefit of the people,” and they empower ordinary people to organize for greater control of society by freeing them from constant fears of sickness and penury. But we are far away from reaching a tipping-point in the security and militancy of working people that would endanger capitalist hegemony. These reformist social programs are also sometimes politically and economically necessary. When the leaders of the $2.6 trillion consortium of for-profit health-insurance, pharmaceutical, and hospital industries sat down with Obama, their favorite employee candidate by far, to write the ACA, this is what they all understood. They were trying to save their capitalist industry, the source of their personal wealth, from being shut down (as it should be) by a perfect storm of popular rage and threatening economic tendencies. They, including Obama, were also following the anti-social imperative to reject the possibility of taking public responsibility for the common good, in favor of insisting on a program of dispersed, “mandated,” individual private purchases. So, in the shadows of this right-wing hoopla, it is Democratic Party neo-liberalism from Clinton to Obama, posing as a kinder gentler alternative, that has been most effective in undermining, by co-opting, the policies and political thinking that represent effective forms of social solidarity. Democratic Party neo-liberalism has been a most effective force in turning the American and global social economy into a privatized, financialized playground for plutocracy, and in promoting austerity and immiseration for ordinary working people. Barack Obama has been a most effective agent of that effort, and Obamacare is one of the most effective and pernicious tools of that project. Today, post offices, Social Security, and public schools all have to be dismantled because they are seen as being based on a principle that is regarded as extremely dangerous. That’s why unions had the slogan, “solidarity,” even though they may not have lived up to it. … And it’s really important for power systems to undermine that ideologically, so huge efforts go into it. Even trying to stimulate consumerism is an effort to undermine it. Having a market society automatically carries with it an undermining of solidarity. For example, in the market system you have a choice: You can buy a Toyota or you can buy a Ford, but you can’t buy a subway because that’s not offered. Market systems don’t offer common goods; they offer private consumption. If you want a subway, you’re going to have to get together with other people and make a collective decision. Otherwise, it’s simply not an option within the market system, and as democracy is increasingly undermined, it’s less and less of an option within the public system. All of these things converge, and they’re all part of general class war. Let’s pretend we’re in a society where people are clamoring for a decent public transportation system. They are fed up with having to buy overpriced and unreliable cars from unscrupulous dealers on onerous financial terms in order to be able to get to work every day. They are at a boil over this. Along comes a smart, mellifluous, “progressive” politician, who says, to the public and to the thousands of activists who’ve been working on this issue for decades: “I’m absolutely with you on this. We need a first class, effective public transportation system. I promise you I will not settle for anything less.” He is elected, with a mandate to solve this problem and many others like it. Would anybody think that this was a solution to the need for a public transportation system? Any of the public that had demanded such a system? Any of the thousands of activists who had been working for it? Would anybody – especially any one of those activists – think or say that this was a “step in the direction” of the public transportation system? One would have to be an utter fool. Such a program would be the opposite of a public transportation system. It would clearly be designed not to satisfy the public’s needs for a transportation system, but to strengthen and perpetuate the same system of selling cars, and further enrich car dealers. And this would be the case even if the politician were opposed by right-wing groups who objected to “the government” forcing dealers to include brakes and turn signals in their cars, and called that “socialism.” No serious public transportation advocate would take those right-wing complaints to mean that the program really was a public transportation system, or even a “step toward” one. If you’re tempted to say: “But isn’t it better that cars have seat belts?” you are missing the point, and demonstrating the hold that capitalist, individualist ideology has on our minds, and how it diverts us from thinking socially. The private car market can be better or worse, well- or ill-regulated, with lousy products or quality ones, but none of those differences will make it a public transportation system, or a “step in the direction” of one. It does not have the same purpose. 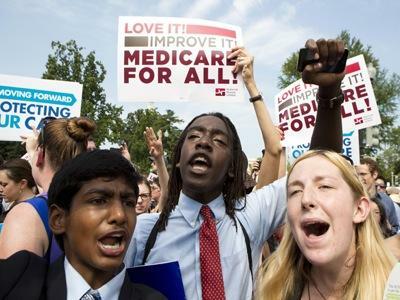 Consider this, for example: In order to keep the for-profit private health insurers in the game, Obama has to make the pitch that healthy young people should consider it their civic duty to be forced to give money to a private health insurance company, since that company has agreed to things like not excluding pre-existing conditions. Really? It’s your civic duty to make car payments to a private auto dealer even when you don’t need the car, so that the dealer can maintain his profitability? No, it is not. This is nothing like the civic duty one would have to pay taxes into a social fund that pays directly for your and everyone else’s public transportation healthcare. Nothing like it. Not to understand that distinction is to be trapped in a straitjacket of anti-social capitalist ideology. It’s not that there are no good features of Obamacare; it’s that the positive features, like not excluding pre-existing conditions (but there are loopholes for that2) are “loss leaders” to get you into the showroom, buy a nice upgrade package, and sign on the dotted line for those easy monthly payments. They are all hedged in by a framework whose primary purpose is profitability. The private for-profit health insurance industry remains in charge, and it will chip away and undermine, or (same thing) try to monetize, any of the positive discrete features that were used to lure progressives into defending one more crappy piece of right-wing socio-economic policy. While Republican Tea Partiers delude themselves that it’s “socialism,” and Democratic liberals delude themselves that it’s some kind of real humanitarian initiative for the public good, shrewd businessmen and the business press know exactly what Obamacare is about: a profit windfall. I cannot insist enough on the demonstrated falsity of the argument that defending Obamacare was then (or is now) the only politically “realistic” strategy. 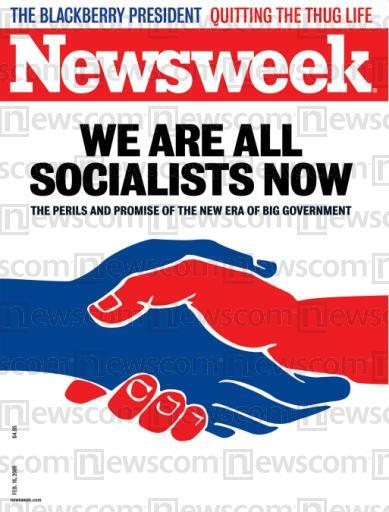 of Newsweek’s February 2009 cover as my blog avatar precisely to indicate the radical ideological and political possibilities that had opened as a result of the near-collapse of the American capitalist economy. These were the possibilities that candidate Obama so craftily surfed on to his election in 2008, and that gave Democrats control of both houses of Congress. In that context, there was absolutely no reason to presume that it would be politically more difficult to make the case for an expanded version of the enormously popular Medicare program than for some complicated scheme to force people to buy private health insurance. Obama did not refuse to make that case because he could not, but because he would not. He did not want to because -- despite the other impressions he loves to give gullible progressives – he is a free-market neo-liberal by conviction, and favors the private healthcare system. He wanted the deal that would save and strengthen private insurance companies, not the public social fund. When he said otherwise, he was lyi…, er, triangulating. Not telling the truth. The details of how Obama locked himself up with insurance, hospital, and pharmaceutical lobbyists to write the ACA, and ordered Democratic legislators to drop any “public option” are well known, and were well known at the time – although they were at the time, and still are, ignored by delusional Democratic constituents who want to believe that their party leaders only produce such monstrous policies because they’re hogtied by Republicans. Hogtied? Hogwash. The Republicans did not stop the Democrats from doing anything. The Democratic politicians did exactly what they wanted (and what their constituents did not want). The ACA passed with no Republican votes. Didn't need ‘em. Another world of healthcare was possible. People were clamoring for it. America had voted for, and expected it. 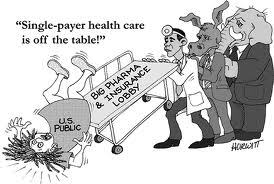 It was Democratic Party health industry stooges, with Max Baucus and Barack Obama in the lead, who stood in the way, insisting that nothing else was possible. The progressive constituency, and the people of America, were betrayed by Obama and conservative Democratic legislators, who never wanted any public plan, and by compliant progressive Democratic legislators who reneged on their sworn and signed promise not to vote for exactly the kind of capitulation to the insurance companies the ACA is. Prominent liberal groups and personalities – MoveOn, the unions, and the Michael Moores – collaborated in this betrayal en masse. The real health care fight waged by the Obama administration has not been against Republicans, who never had the votes to stop, let alone dictate or pass anything. The administration's effort all along has been to pass the worst bill possible, with the greatest amounts of corporate welfare and loopholes, and the fewest protections for patients, while silencing, neutering and coercing the voices of most Democrats, who have favored some form of single payer, or Medicare For All from the beginning. There is no good feature of Obamacare that could not be handled better in a public, single-payer system. It is not as if the American private health insurance market functions in a way that satisfies anybody but the insurance companies. People were at a boil about it. It is absolutely not the case that there is no better public alternative. We have one that’s been working for going on 50 years. All we have to do is let everyone in it. This is not a hard argument to make, for those who might actually want to make it. Obamacare’s little helpers, dutifully reciting White House talking points in 2009 and early 2010, were helping right-wing bogus populism to gather steam. Claiming that the Obama presidency would sink without signing into law its “landmark” healthcare bill, many a progressive worked to throw the president a rope; while ostensibly attached to a political life preserver, the rope was actually fastened to a huge deadweight anvil. The Democrats avoided fighting for single-payer Medicare-for-all, not because of electoral opportunism, or even stupidity, but because, in principle, it is not what they wanted, or want, to do. They left the politico-ideological initiative to reactionary Republicanism because the Democratic Party, as an institution, prefers a politico-ideological field where laissez-faire capitalist ideology aggressively dominates to one where a more cooperative social ideology militantly challenges. They neither want, nor know what to do with, the latter. 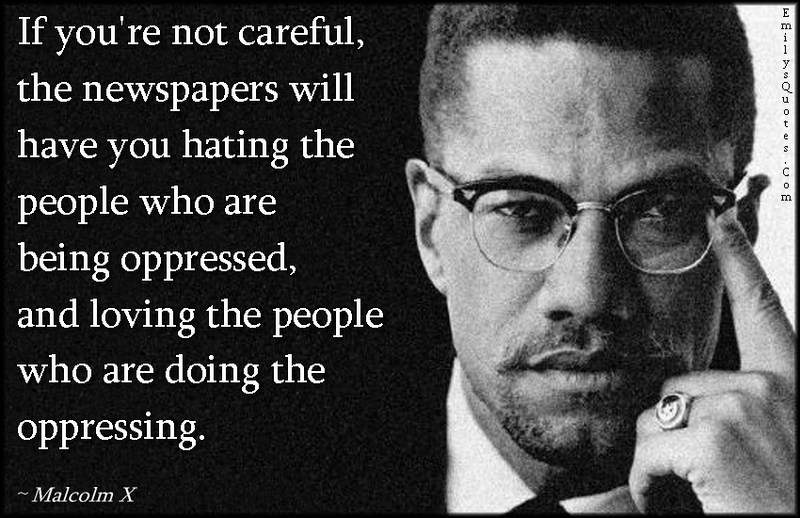 Until progressives understand this, they will continue to be the victims of the same scam without end. liberal and labor groups … frittered away their group’s resources—and integrity— to sell a crappy product to the American people.….adding crucial political support to a project that deserved none. …Obamacare was always more barrier than progress: we’ve wasted the last several years planning, debating, and reconstructing the national health care system, all the while going in the wrong direction — into the pockets of the insurance mega corporations. A true public and progressive system will not be an adjustment to, but a total replacement of, Obamacare. Obamacare is failing politically, and may very well fail in other ways, as analyzed below, and that is an opportunity. The task for progressives is not to conjure new means of life support for this political zombie, but to put it out of its misery. 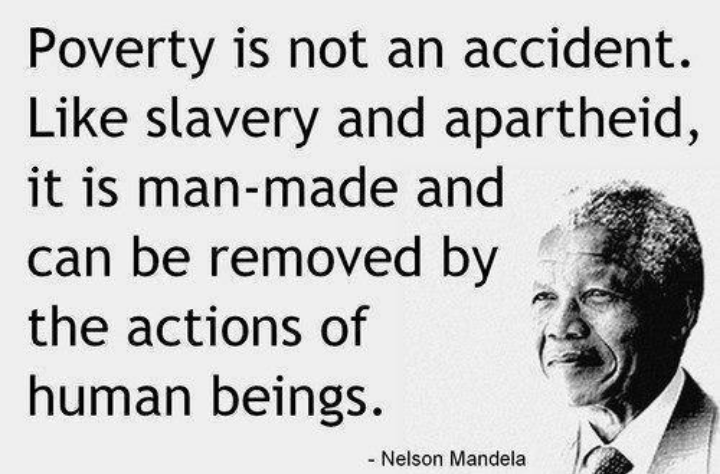 It has to be replaced by a vibrant social program, a public, single-payer system in which the criteria of success is not profitability, but universal coverage and the health of all our citizens – because that’s what we as a society think is the right thing to do. This means unapologetically putting an end to a multi-trillion-dollar business that is the source of millions in campaign contributions, that is the income stream for the lifestyle of scores of plutocrats who are also politicians’ friends, and that is a destination sinecure for many politicians themselves. This is also a demand to reverse the tide of austerity, and expanding and strengthening social programs, instead of destroying them, may also require a complete reform of tax policy. Programs like Medicare and Social Security should be funded from the general tax revenue, with a simplified and truly progressive tax code that eliminates loopholes and treats capital gains the same as wages. Sure, this will require a militant political movement based on an ethic of social solidarity, as opposed to private enrichment, that both major political parties have effectively abandoned. That’s what’s needed to address all the problems we face. It’s that, or waste another four years defending Obama, and chatting up the next Democratic shill. The debacle with the website was a canary in the mine. It was a secondary, but not insignificant problem. It was significant in itself, because it was, in its own right, a failure of the Obama administration, which had four years to prepare something that actually worked. But it also indicates how a liberal concession to a complicated, semi-hidden complicity with private capital ended up in a failure that feeds capitalist ideology itself. Let’s see: First, the administration outsourced the programming to a Canadian company that had been fired by the Ontario government for missing three years of deadlines. Then, it’s clear that Administration officials did not understand the difference between a “webpage” and a complex programming and database architecture. It’s also clear that they thought that adopting the pose of some hard-nosed politician from House of Cards and ordering that everything must be done on time was the way to get that complex programming architecture built. It’s clear that the contractor yes-manned and yes-ma’ammed its way to the bank. 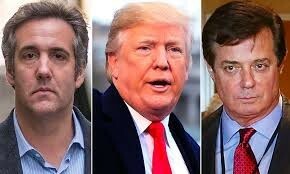 It’s clear that both the Administration and the contractor ignored warnings, lied to Congress, and generally thought they could cover up any flaws on the fly. It’s a classic tale of incompetence and arrogance over four years, for which nobody but the Obama administration is responsible, and for which nobody has been fired. It is secondary, most obviously because it will be fixed. They’ll get enough competent programmers to make it work. But it’s also secondary in the sense that the complexities of the programming task are a secondary effect of the complexity of trying to digitally coordinate hundreds of independent systems of for-profit companies and government agencies, even though it’s “the government” that will get all the blame for it. As Zeese and Flowers point out “in 1965 when Medicare started, everyone 65 and over was enrolled within six months - using index cards.” By “the government.” It wouldn’t have been a hundredth as difficult to add everyone to the Medicare rolls. I had my own experience that indicates the layers of public-private complexity. I helped someone who had to sign up for a new Empire health insurance plan by January 1st. We could not get signed up, even provisionally, until December 11th, and could not actually pay the premium (which is the real confirmation of coverage) until December 31st, after three hours on the phone. She still does not have a new ID card or any plan documentation, and she is still not sure she is covered for the same doctors and hospitals as before, which are indispensable for her ongoing condition (though it’s likely she is). This was not an Obamacare website problem. This was a current Empire policyholder trying to get an off-exchange plan directly from Empire, at their website, and through their phone centers, using her existing account. Empire Blue Cross, which is also Anthem, which also seems to be Wellpoint, which had personnel in Virginia and New York trying to figure out a New York plan, was pretty clueless. Yes, they had a zillion new customers (poor them), and, yes, they also had four years to prepare. So, although our current ideological discourse will place the blame in this way, these problems are not the fault of “the government” per se. There is no “government” in the abstract. The more precise way to put it is that this is not the fault of a government truly acting as a representative of the people, in the public interest, for the common good. It definitely is the fault of a government that makes itself the coordinating salesman of a consortium of private profit-making enterprises, a government acting in the interests of perpetuating their profitability. That’s the government we have. One has to appreciate the perfection of the ideology: by implicating itself in ensuring the profitability of private sector enterprises, this government actually feeds the discourse that “government” in general, understood as any form of common social action outside the sphere of profitability, is to blame. This is now a well-implanted ideology. You cannot defeat it by sidestepping it. If you’re looking for the fish at the poker table, you’re it. 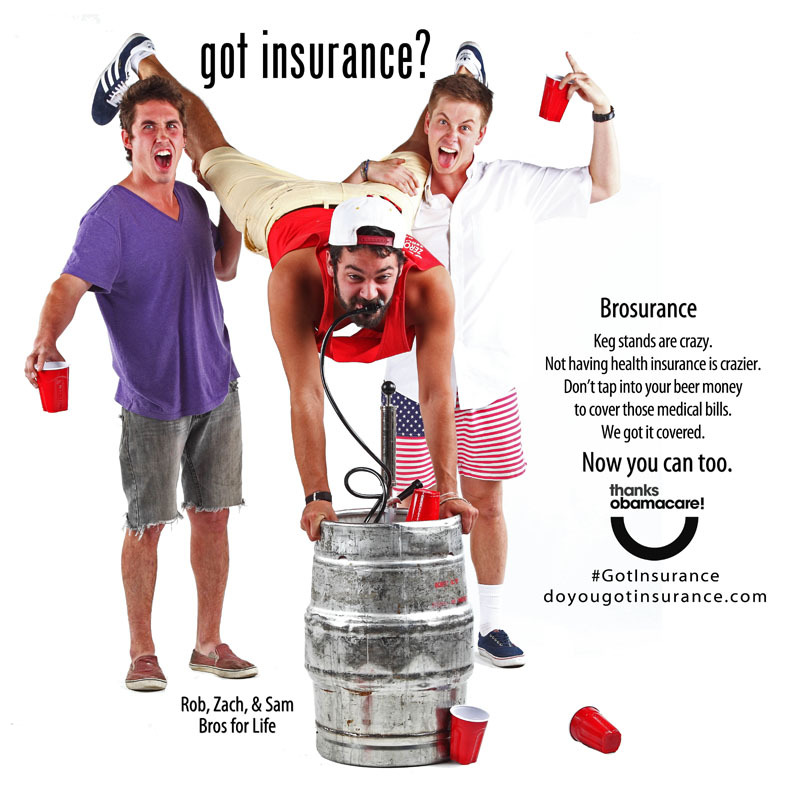 The liberal constituency – Michael Moore personifies it – goes along with an awful program like Obamacare, which it knows cedes too much (the essential substance!) to the right, because the liberal constituency thinks it’s an effort by “their” shrewd leader and Party to defeat reactionary ideology by evading it. What’s actually happening – you’d think they might notice this, when they’re losing hand after hand, while reactionary ideology keeps winning all the chips — is just the opposite: the party being played, evaded, and defeated is the liberal constituency itself. I’ve previously characterized the Democratic Party strategy as “If we lose, we capitulate because we must; if we win, we capitulate because it’s the right, bipartisan, thing to do.” Liberals who support what they know to be “awful” Obamacare, because it’s always necessary to cede to the discourse of the right, shouldn’t be surprised when the only “tweaks” to the program we’re now likely to see are those from the right itself. "In a reversal that followed intense lobbying from the health insurance industry," the CMS "said on Monday it will increase the rate by 3.3 percent in 2014, reversing a 2.3 percent cut announced in February." The many "free market" fans of increasing this Republican federal subsidy to big businesses were applauding. At fool.com, Sean Williams bannered "The Insurance Industry Shows Obamacare Who's Boss," and exulted "The insurance industry effectively dictated itself a raise." America is run largely by and for about five thousand people who are actively supported by 50,000 beavers eager to take their places. I arrive at the round figure in this way: maybe 2500 megacorporation executives, 500 politicians, lobbyists and Congressional committee chairmen, 500 investment bankers, 500 commercial bankers, 500 partners in major accounting firms, 500 labor brokers. If you don't like my figures, make up your own. We won't be far apart in the context of a country with 210 million people. The five thousand appoint their own successors and are responsible to nobody. They treat the nation as an exclusive whorehouse designed for their comfort and kicks. The President of these United States, in their private view, is head towel boy. Adjust for the new, generous, tipping etiquette, which gives towel boys and pool girls a path to junior membership. Adjust for the resulting political system that “is not only run by plutocrats, it’s become a system for making plutocrats,” with, for the first time, more than half of our legislators now millionaires – as I’ve said previously, “a government of millionaires hired by billionaires.” Adjust the ratio of investment bankers, in an aggressively financialized economy. Adjust any way you want: In a population of 316 million people, it’s a tiny group that controls the country, and it’s capital who’s the boss. As with the national electoral process, behind the distracting public facade, the national legislative process is almost (?) completely controlled by this corrupt coterie of Serious People, and Obamacare was their production. The specifics of how Obamacare will work need some attention, because they help to indicate the extent to which this plan is designed for private profit as opposed to public good. Devilish details, and all. But it is ludicrous, a fool’s game, falling into the trap, to try and tote up how many people will do better vs how many people will do worse. That is precisely the anti-social exercise of calculating the net sum of private transactions. Frankly, I suspect that most people who think Obamacare is some kind of “progressive” achievement just do not know much about it beyond the PR slogans on MSNBC. How could anybody know much about it? It is incredibly complicated. No, really, incredibly complicated. The very best single document I have read, which delves into all the details of this program, was published by Paul Craig Roberts, and can be found here. I know that I did not understand what the ACA actually was, did not know what I was talking about, until I read that piece. Take a look at it – it’s very detailed, you may not go through all of it, but pick a section – and the slogans will disappear. You will never again be fooled into thinking that this is anything but a scam to force-feed profits to the private health-insurance industry. We know that a lot of people who could not buy health insurance will now be able to – though at complicated rates, and with varying levels of actual healthcare. We know that some people who had health insurance will now pay more, some less. Some will get better policies, some worse. And we don’t need to know much more than that. These inconsistencies are themselves a sufficient indictment of the whole awful concoction, because they derive from no healthcare logic, but only from the profit demands of particular companies. It’s ridiculous that an American citizen who lives in county x should have different healthcare coverage than one who lives in county y. Period. No tweaking. But there’s more: Everyone is now aware that Obamacare will leave millions of people without health insurance (But did you know that figure is 26-27 million in 2016, according to the Congressional Budget Office? ), and millions of others with health insurance they cannot afford to use. We also know, since it keeps all the insurance companies in the game, that it’s not going to reduce the paperwork for doctors, and it’s not going to stop the kind of insulting demand on their time, and total diversion from real medical care we see in stories like this: Doctor’s Office Spends 2 Hours On Hold With Health Insurer For Patient’s Surgery Authorization. We know, too, that the insurance companies are going to limit the doctors and hospitals they cover, especially in the cheaper plans (Insurers Push Plans That Limit Health Choices), and we’re rightly afraid that doctors themselves are going to hate it and opt out of it. Did you also know that the ACA will actually force people into and out of Medicaid without their consent? That it will force doctors to use HMO-type “productivity” criteria that will incentivize them to avoid sick patients and rush through all the others as cheaply as possible? The ACA is a stew of ludicrous contradictions, exceptions, and regulations that are unrelated to any real healthcare needs, and only made necessary by the profit imperative underlying the whole mess. Let’s take a look at this from another angle: the likelihood that the insurance companies will get what they want from Obamacare. This requires a little case study. The rate for what seems to be a comparable policy now will be about 60% cheaper. We should carefully remark, in the Empire letter above, the phrase: “Rates have been approved by the New York State Department of Financial Services.” This was, as I said, a regulated market, and the DFS was supposedly looking out for consumer interests. Fifteen years ago, the individual rate was around $500. It increased inexorably, year after year. The regulators were driven by the insurance companies, who really made the decisions. Obamacare “oversight” will be no more rigorous, managed by the insurance companies, with, again, a mandate to maintain their profitability. This means that premiums (not, by far, the full cost of the insurance) will continually go up. How fast and far they rise will depend on whether Empire gets enough healthy young people, who certainly were not buying at the above rates, to buy into their cheaper plans. Empire will have to get enough healthy new customers who won’t be making much use of their product, to make up for what’s about $1200 a month they are losing on their legacy higher-paying customers. This is the kind of bet that hundreds of companies across the country are making, and it’s no sure thing. The point of this program is to allow the private health insurance companies to make more profits. If they don’t, it fails, in its own real capitalistic (as opposed to its ostensible humanitarian) terms. You buy the cheapest Empire Bronze plan. You pay $4320 ($360/mo) in premiums plus $5800 in deductibles before the plan starts paying benefits, with a $6350 out-of-pocket maximum if you actually use the plan. Any way you look at it, you save over three grand by not buying the insurance. That’s real shirts, beers, and diapers. And, guess what? You can always go and buy the insurance if you get sick. And guess what else? According to the law: “taxpayers shall not be subject to any criminal prosecution or penalty, tax liens, seizure of bank accounts or garnishment of wages for failure to pay [the penalty] and no accumulation of interest on the unpaid balance.” Yes, the IRS will deduct the penalty from any tax refund that you get it, but no penalty of any kind, they can’t bug you for it, and you’re still $3K in the black. So what’s the downside for you in forgoing the insurance? Now there may be some people who will remember that the President, that nice man they voted for, who struggled mightily against those Republican ogres to give us all the gift of Obamacare, says that it’s their civic duty to pay that extra $3000 per year to make sure Joe Swedish is well-enough compensated for leaving his last eight-figure job. There may even be a few who, starting down that path of thought, remember the argument that “polemicist” guy made about what is and isn’t civic duty, which suddenly seems worth considering. But there are certainly going to be a lot of healthy young people – I’m guessing millions – who are just going to do the math and go for the shirts. Why the hell not? In other words, millions of people will remain uninsured, and end up paying more taxes for that honor. This is, first of all, absolutely ridiculous. Should people not be pissed off about this? Why shouldn't any extra tax you pay end up buying actual health insurance? Because the minute you ask that question, and think about it for more than three seconds, you end up with some form of Medicare-for-all, paid for by a progressively-structured tax, as the only sensible answer. But this also means trouble for Empire, and Joe Swedish, and the whole contraption. 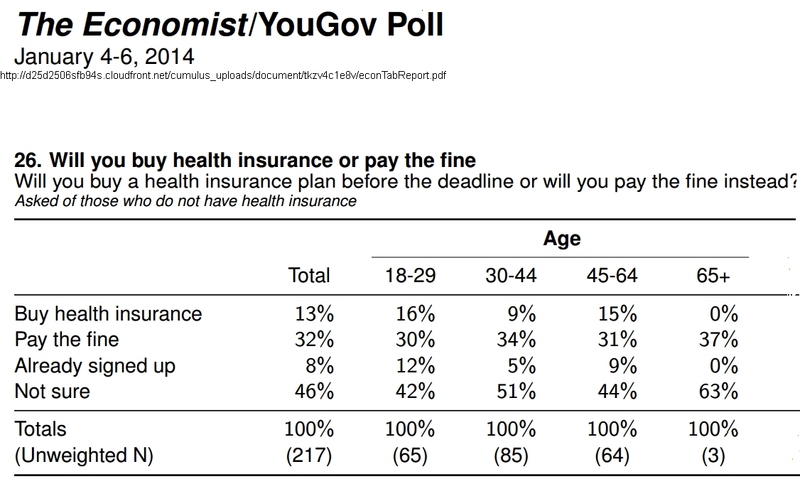 A Reuters article emphasizes the concerns that “the market won't attract enough young people to keep it financially viable, putting more pressure on government funds to compensate for any insurer losses.” So far, according to preliminary and incomplete data, 22% of 18-34 year-olds have en enrolled, as opposed to the 38% the administration hopes for in 2014. As one “actuarial consultant” emphasized: "The whole insurance relationship is counting on them signing up….Otherwise rates will have to increase.” And as another academic noted: "If the demographics come in poorly, insurers are going to lose money." Which is why we have made-for-mockery amusements like the “brosurance” appeal that Jon Stewart and Aasif Mandvi lampoon so well. The reluctance of healthy young people, combined with one of the best provisions of Obamacare – the requirement that health insurance companies spend 80% of the consumers’ premium dollars they collect on actual medical care rather than overhead and profit – is going to make it harder for health insurance companies to get the kind of profitability they think they need. Watch for more Democratic and Republican “tweaks” to fix the profitability problem! But, if they try to “save Obamacare” by waiving that 80% requirement and/or stiffening the tax penalties and their enforcement, there will be more political hell to pay, and they know it. This all means that, as we are seeing Obamacare failing politically, there is a very good chance that it will fail in its actual socio-economic goal of maintaining the profitability of the private health insurance industry – in other words, failing the capitalist interests it intends, as much as the people it pretends, to serve. Here, from Christopher Petrella, is another little thing about the penalty tax for progressive defenders of Obamacare to look at. Regarding the famous premium subsidy -- officially the “premium assistance tax credit” – we should be aware that millions of people are going to owe premium subsidy money back to the government. Any premium subsidy the government pays to the for-profit health insurance company on the taxpayer’s behalf is only a provisional tax credit, subject to being re-billed to the taxpayer if his or her actual income exceeds the estimate on which the subsidy was calculated. The “premium assistance tax credit” is not a gift to the taxpayer, but to the insurance companies. Other subsidies, to reduce the burden of deductibles, co-insurance, etc., are only available to those with incomes between 100% and 250% of the federal poverty level, and only if they buy a Silver plan (higher premiums, more public money to the insurance companies). There’s a pernicious, and I think deliberate, side-effect to this subsidy policy. The jumble of regulations, penalties, and subsidies is another contraption for reproducing class, really intra-class, resentment and division. People like my Brooklyn exemplar, whose income is a bit too high for any kind of subsidy, will probably have to choose the plan with the lowest premium, and will also have to pay for every penny of deductible and co-insurance out of his her own pocket. S/he is going to see some folks with less income getting bumped into better plans because, in a given venue (Different everywhere! ), a family that qualifies for all the subsidies may be find it cheaper to opt for a Silver plan with a nominally higher premium. Brooklyn Jack or Jill may not feel so great about that. This is the kind of intra-class resentment that these kinds of means-tested, particularized purchase plans (as opposed to a simple universal-coverage plan) foment – and it is exactly what they are intended to foment. The idea is to get Camden Mary and Brooklyn Jill, two people whose incomes are an inch apart – and not in the same galaxy as Joe Swedish – fighting over who gets one dime more from “the government.” The idea is to keep them clueless about the fact that it’s Joe Swedish who is getting all the money from the government, and to prevent them from ever thinking about how everyone can get healthcare coverage that’s equally good, if we’d just leave Joe out in the cold. Bottom line: Obamacare is a system that’s fundamentally irrational and unjust. It’s a system that won’t work well for anybody it pretends to serve, and will perpetuate enormous social inequalities in the access to healthcare. The sole focus of healthcare progressives now must be to promote a true single-payer, universal coverage, Medicare-for-all system, which means – There’s no avoiding it! – quickly and thoroughly ending Obamacare, along with the parasitical $2.6 trillion profit machine that produced it, and that it sustains. A poor Irish Widow, her husband having died in one of the Lanes of Edinburgh, went forth with her three children, bare of all resource, to solicit help from the Charitable Establishments of that City…referred from one to the other, helped by none;"You are no sister of ours; what shadow of proof is there? Here are our parchments, our padlocks, proving indisputably our money-safes to be ours, and you to have no business with them. Depart! It is impossible!" Let’s not go any lower. It's not a big enough sample to be dispositive, nor is any snapshot of present attitudes going to prove anything (the highest numbers are still "not sure"), but it does indicate trouble in the younger demographics. The whole survey is worth looking at. It covers many questions, most with significantly larger samples. From a 999-person sample, 31% characterize the ACA as a "complete failure" while only 2% say it's a "complete success." (18% say it's "more of a failure than a success," vs. 14% saying it's "more of a success than a failure.") Tell me how politically pragmatic this was again. But a loophole in the law allows insurers to rescind (cancel) your policy if you intentionally put false or incomplete information on your application. The ACA says you must be given at least 30 days’ notice before your coverage can be rescinded, giving you time to appeal the decision or find new coverage. So, if your care becomes costly for the insurer and you didn’t mention you had a rash on your arm when you were 15, that’ll work. How can you prove if leaving this out was intentional or not? It’s them against you. 3Consider even what might have been a “compromise” proposal: Would it have been “impossible” to get an extension of Medicare to cover everyone older than 54 and younger than 25, with others having the possibility of buying into Medicare? That would have been a real step in the right direction, because it would have preserved, strengthened, and extended the public social fund that serves the common good. It would also have grabbed all the boomers, all the students, and every parent, and brought a lot of new money into Medicare. Can anybody seriously think this would have been a harder sell than the incomprehensible hodgepodge of the ACA? A well-connected Democratic source swore to me that the Democratic congressional leadership, working with Howard Dean, was ready to introduce some kind of Medicare expansion like that, but was ordered by the White House to drop it, which they dutifully did. 4Thus our use of the term “neo-liberalism.” And therein lies another long story about the convoluted trajectory of political words. Amanda Moore: "Tracking Down Martin Luther King, Jr.'s Words on Health Care"
Kevin Zeess and Margaret Flowers, "Obamacare: The Biggest Insurance Scam in History"
Paul Craig Roberts: "Obamacare: A Deception: How Obamacare works for the insurance companies but not for you." "Despite Glitches, Obamacare Profit Windfall To Insurers Well Underway," by Bruce Japsen, r Forbes. October 29, 2013. Glenn Greenwald, "Truth about the public option momentarily emerges, quickly scampers back into hiding" - Salon.com. Glenn Greenwald, "The Democratic Party’s deceitful game" - Salon.com. Miles Mogulescu: "NY Times Reporter Confirms Obama Made Deal to Kill Public Option," Huffington Post. 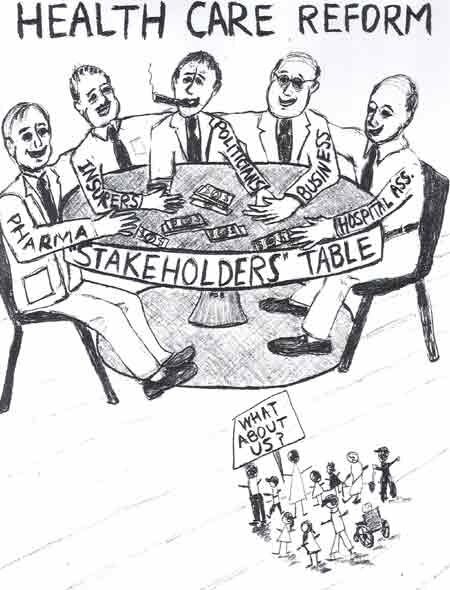 David Dayen, "The Deal with the Hospital Industry to Kill the Public Option" | FDL News Desk. David D. Kirkpatrick , "Obama Is Taking an Active Role in Talks on Health Care Plan" - NYTimes.com, August 12, 2009. "CBO Releases Updated Estimates for the Insurance Coverage Provisions of the Affordable Care Act"
"Doctor’s Office Spends 2 Hours On Hold With Health Insurer For Patient’s Surgery Authorization"
"Insurers Push Plans That Limit Health Choices," by Reed Abelson, NYT, July 17, 2010. 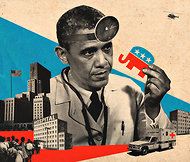 See David Sirota's article "The inside story of how Obamacare became an insurance-industry bailout," which contains the confirmation from Kathleen Sebelius that the administration’s drafted its healthcare plan"specifically to prevent it from evolving into a single-payer plan." Thank you for the fabulous service provided by this essay. Every disparate relevant fact put together in one coherent piece. Thanks. That's what I was aiming for. Glad you found it helpful. By all means, recommend it and spread the link around to those you think it might benefit. Thanks for this. Damned comprehensive and impressivley logical. "Look, everyone knows that the ACA has major flaws. Yes, 11 million people have insurance today that didn't have it. Yes, some of the state exchanges are working. Yes, your cousin who couldn't work for the last 3 years because he couldn't afford to fix his knee got that repaired under the ACA and is back at work." "But let's be honest. Half of the country hates this law. The Republican Party has voted 67 times to repeal it, at the expense of their other work. It is, frankly, a divisive wedge between Americans. And, most importantly, the cost of health care remains a serious financial liability to our country, even with the ACA." "Yet (dramatic pause) the toothpaste is out of the tube (dramatic pause #2) and it ain't going back in." "So, do we live with this new, highly imperfect system to provide healthcare, or do we start from scratch to design something that works, a system that would be the product of real, contentious, courageous, bipartisan design?" "I - having had my own spectacular failure in trying to improve US healthcare under my husband's administration - (audience laughter, which allows Hillary to look human by saying "that's right... I own a health care failure") But, I pledge to sit down with my Democratic and Republican colleagues and design an alternative that provides healthcare for all Americans, lowers the impact on our budget, makes our country more productive and our citizens happier, and reflects our national values." Now, it may be true that the political/economic/business divisions won't let this happen. In that case, nothing lost, but nothing gained either. Any thoughts? In any case, thanks for posting. Thanks, Carl. Yeah, I really don't thing that's going to happen. Hillary is captured/part of the same elite business interests as Barack. It's not a matter of logic, even rationally self-interested political logic. As you point out, it would make sense on a number of levels. It's about the protection of the power and profits of the health insurance industry. The money controls the politics.